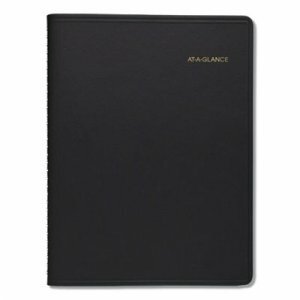 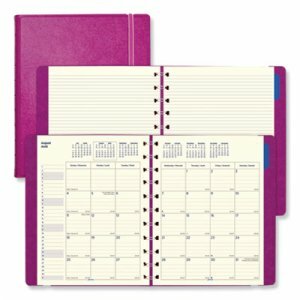 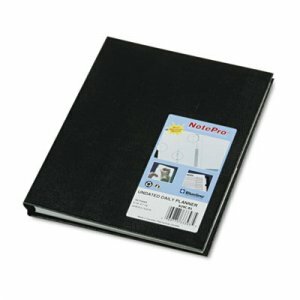 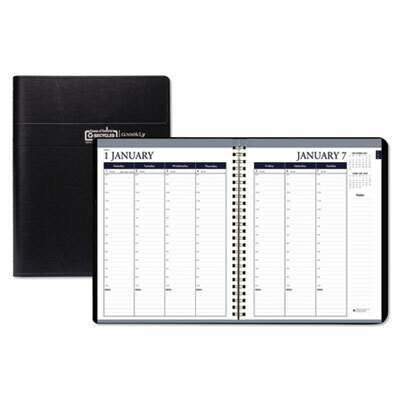 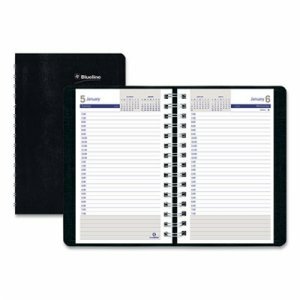 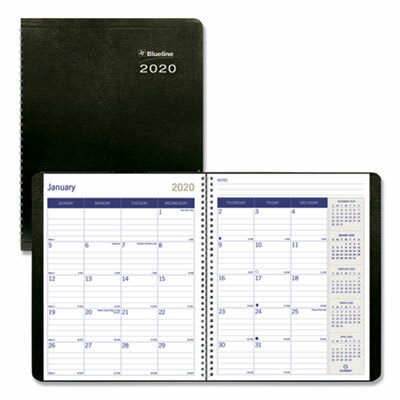 Stitched-book-style flat planner with room to note necessary appointments, for the busy professional. 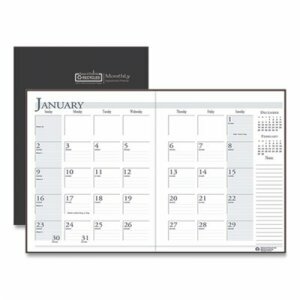 One-month per two-page spread with generous note space for important information. 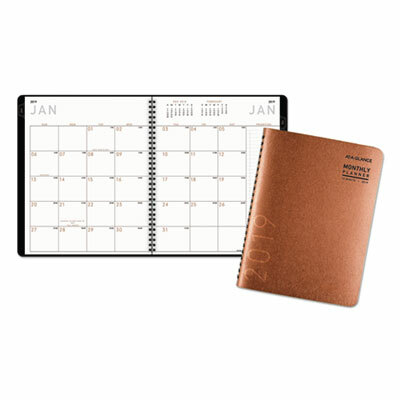 Lightly ruled daily blocks help keep notations neat. Shaded weekends let the workweek stand out. Printed on 100% recycled paper containing 100% post-consumer recycled content, using soy inks, 50% recycled cover material, 90% recycled wire.